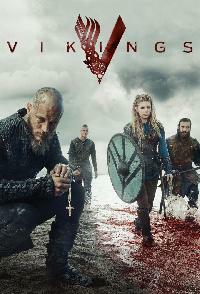 Episode 1 "The Departed (1) and (2)"
Episode 9 "A Simple Story"
Episode 10 "Moments of Vision"
Episode 12 "Murder Most Foul"
Episode 13 "A New God"
Episode 14 "The Lost Moment"
Bjorn achieves one of Ragnars dreams. Back in Kattegat, Ivar hatches a new plan while preparing for a divine arrival. In Iceland, a settler returns in a terrible state. King Alfred faces his greatest threat yet. Episode 17 "The Most Terrible Thing"
Episode 19 "What Happens in the Cave"